This morning while I was exiting my local Walmart I noticed this table set up against the wall. I’d heard about the Fallen Soldiers Table but had not seen it before. 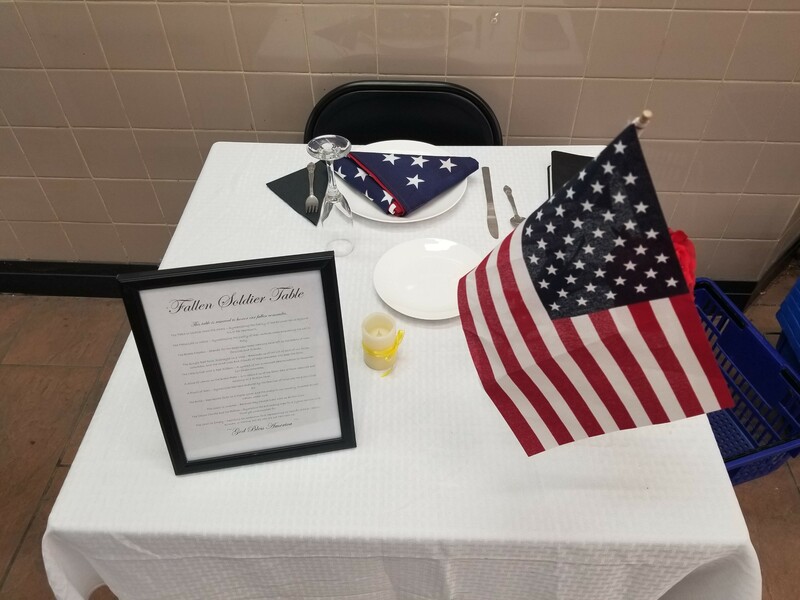 I don’t remember if this table was placed by the local VFW or American Legion not that it makes much difference to me other than to give credit for their efforts. They’re held with the highest respect for that’s what they deserve. As we pray that they’re watched over and kept close to God. They cannot be an honored guest or such a gracious host. That causes so much pain like the sharp edge of a knife. For the soldier is no longer present to help calm our fears. It holds a place of honor and represented in red. Now it stands alone for the voice that we can’t here.